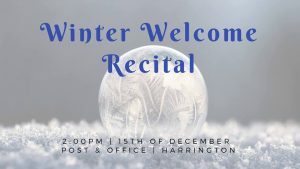 Winter Welcome is a pop-up recital held in the Post & Office. 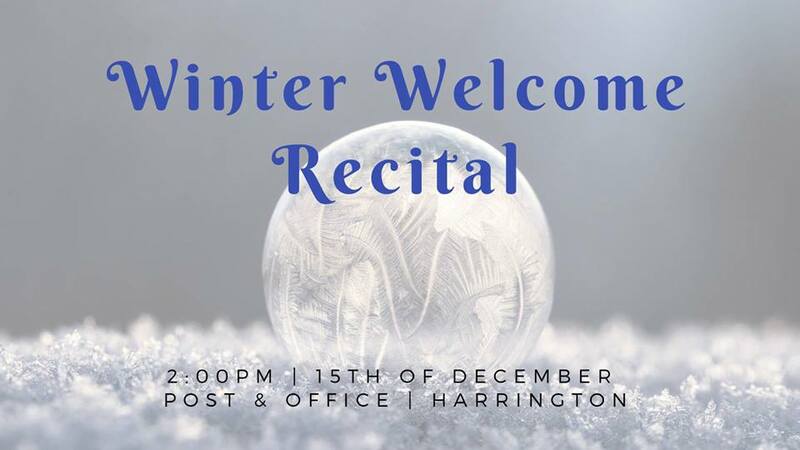 There will be some Christmas music, as well as other wonderful pieces to enjoy. Come and be serenaded on the piano and guitar by musicians in the Hardy Music Studio! Rebecca Hardy teaches piano and guitar in Harrington and is both a solo and collaborative pianist with a Master of Music degree in Piano Performance.